Calne operated a parish workhouse in a leased building, location unkown, from August 1728. Between 1728 and 1730, the running costs were between £30 and £50 per month, of which about ten percent was financed by income from the inmates' work. In 1758, the parish set up a workhouse in a large house with an adjoining malthouse it had bought at the corner of Patford Lane (later New Road) and Silver Street. The poor were farmed by a contractor who, in 1779 was paid 1s.9d. a week per inmate, and could also keep any profits from their work. From 1774, anyone in receipt of poor relief was required to wear a red hadge on the right shoulder bearing the initials "CP" (Calne Parish). Parliamentray reports show that in 1777, the workhouse could accommodate up to 100 inmates, and in 1804 up to 60 inmates. By 1817, the workhouse had been converted to a poorhouse providing accommodation but not work. County of Wiltshire: Blackland, Bowood, Bremhill (2), Calne (6), Calstone Wellington, Cherhill, Compton Bassett, Heddington, Highway, Hilmarton (2), Yatesbury. The population falling within the Union at the 1831 census had been 8,973 — with parishes ranging in size from Calstone Wellington (population 32) to Calne (4,795). The average annual poor-rate expenditure for the period 1831-4 had been £9,133 or £1.0s.4d. per head of the population. Initially, Calne Union continued to use an existing workhouse building. A new union workhouse was built in 1847-8 at a site on the north side of Curzon Street to the west of Calne. It was designed by Thomas Allom who was also the architect of the workhouse at Marloes Road, Kensington, and joint architect of Liverpool Union workhouse. The workhouse location and layout are shown on the 1900 OS map below. It appears that the main building at Calne was a corridor-plan T-shaped block facing to the south. Various outbuildings formed a square perimeter to the iste. Calne main block from the south. 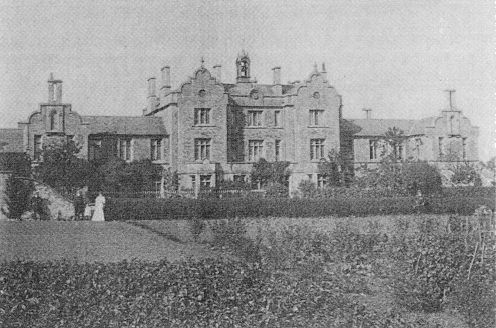 An isolation hospital to the north of the workhouse was erected sometime between 1884 and 1899. The workhouse buildings are now almost entirely demolished. All that remains are the former entrance lodge at the south-west and an out-building at the south-east. 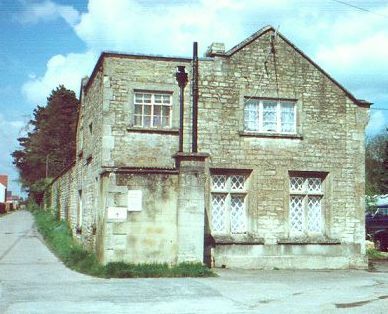 Calne entrance lodge from the south, 2000. 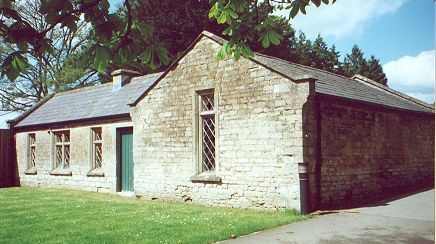 Calne outbuilding from the south-east, 2000. 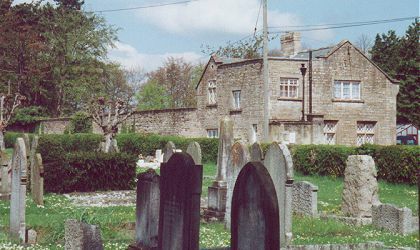 Calne site from the south-west, 2000. Wiltshire and Swindon Archives, Wiltshire and Swindon History Centre, Cocklebury Road, Chippenham SN15 3QN. Very few records survive — holdings include: Guardians' minutes (1834-1930); List of lunatics (1892-5); etc. Victoria County History of Wiltshire, Vol XVII.